We are pleased to announce that we have squashed a few bugs this week within our air traffic control iPhone/iPad apps Airport Madness Mobile and Airport Madness Challenge. Some players reported stability issues that required occasionally restarting their games. Grab the latest updates from iTunes! Building air traffic control games has been one of the most complex endeavors I’ve ever tackled. I recall how overwhelmed I was after buying my first book on the C++ programming language seven years ago. Chapter one discussed things like functions, arrays, variables and loops. Chapter two is where I got lost, in the lengthy discussion about associative arrays and pointers. My head is still spinning from it all. I am reminded of Chevy Chase’s presidential debate on SNL where he answers, “I was told there would be no math”. Programming is definitely no place for those who do not care for math. In programming, and especially programming of air traffic control games, there’s plenty of it. I’ve sought out ex-high school math teachers. I’ve paid freelancers for assistance. I’ve been a pain in the neck on many programming forums, asking questions like, “How do you calculate an angle when you only know the length of two sides?”. There are some amazingly helpful resources out there right now, which I highly recommend to anyone who is considering casual game development. It is bold of me to assume that most game developers would choose flash these days. There is so much being done with other platforms such as Unity and Apple’s xCode for iOS. But if you do plan to start with Flash and Actionscript 3.0 (which is my recommendation for newbies), here are two books you need to grab. Actionscript 3.0 Game Programming University by Gary Rosenzweig is fantastic for beginners. Gary breaks everything in Actionscript 3.0 down into bite-size chunks, aimed purely at game development. The book is filled with projects. It is rare to find a programming reference book that you can actually get all the way through. The author also offers several how-to videos on his website, http://www.flashgameu.com/. Advanced Actionscript 3.0 Animation by Keith Peters. This book is everything you need to code complex animations for your games. Whether you need some powerful code snippets for your pool game, or complex trigonometry to calculate aircraft trajectories, you will find this book helpful. The book starts out simple enough, but becomes rather complex towards the end. I don’t need everything in the book, but I have used much of it. Keith Peters has a terrific blog at http://www.bit-101.com/blog/. I have learned in this business that you do not need to understand every little detail of code that you read from a book. You only need to know what the code does for you and how to implement it. I know how to cook toast, but haven’t a clue how a toaster works. Big Fat Simulations is looking forward to the release of Radar Chaos in March 2011. 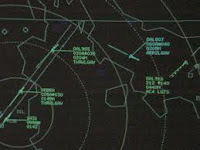 Radar Chaos is a fun, realistic radar based air traffic control game and simulation. This game is designed to cater to a variety of audiences which include those not familiar with aviation, including real-world pilots and air traffic controllers. This is done by establishing a sliding scale of realism and difficulty. Information on the development progress can be found right here in the blog. This entry was posted in Radar Chaos on January 20, 2011 by admin. I recently heard some interesting comments made at the International Game Developers Association in Los Angeles, regarding game design. 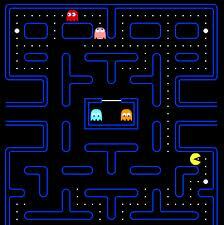 “If the player can’t die, then it’s not a game”. This is an interesting thought, but do games really need to create inevitable failure in order to be game-worthy? Is Farmville a game, even though you can’t die? I like many games for the challenge, but I like others simply for the experience. Can a game be enjoyable without rewards and punishment? What about air traffic control games? The trouble with ATC is the slow action, by game standards. You need at least 10 minutes of game play before things start to get interesting. The fun of ATC is in making decisions and building a plan, then managing the situation as reality unfolds. In the ATC world, this takes time to build. The game begins with the player thinking to themselves, “I’m gonna make the 737 first, then stick the Cessna behind him, and slow the LearJet to follow.” These types of decisions are fun. However, it requires time for such a plan to unfold. A radar screen has a very broad range. Even a fast-moving 737 takes time to get from one end of the screen to the other. It is this very “slowness” that creates tension and suspense, which is what makes air traffic control games fun, and ultimately what makes air traffic control such a neat job in real life. The player has time to change their mind a few times, maybe come up with an entirely new plan, and possibly make an irreversible mess of things. It’s difficult to create an ATC game that is quick and snappy, especially a radar-based game, like our upcoming game and simulation, Radar Chaos. You can only “dumb it down” so far before it stops being a simulation and becomes a cute puzzle. This entry was posted in Uncategorized on January 15, 2011 by admin. 2011 will be a busy year for us as we develop two new air traffic control games, including several casual games for iPhone and iPad. In our search for inspiration and ideas, Big Fat Simulations and it’s partner Fluik will be attending the annual Game Developer Conference and Flash Gaming Summit in San Francisco this February. The GDC is the world’s largest professionals-only event in the game industry. Serving as the central forum for learning, inspiration, and networking, the GDC attracts over 18,000 attendees to the annual event in San Francisco. Programmers, artists, producers, game designers, audio professionals, business decision makers, and others involved in the development of interactive games gather from around the world to exchange ideas and shape the future of the industry. After developing six different air traffic control games with two more in production, we’ve realized that something is missing. We need a game that is about ground control. Ground control is all the stuff that happens between the parking gate and the runway. At many complex airports, ground control is the most difficult type of air traffic control. The skies have airways, navigation aids, and standard arrival/departure procedures, but ground is often a mess of aprons and taxiways. During Winter, aircraft require deicing and runways require plowing. This creates delays, which often means an aircraft is not allowed to even leave the gate for a period of time. If an arriving aircraft reaches the parking apron and there are no available gates, the taxiway system can become a cluttered mess of waiting arrivals. We are pleased to announce that we have a new air traffic control game in the works. It is a radar-based game, aptly named Radar Chaos. You may be wondering, “Why another ATC game?”. Unlike the Airport Madness series, radar games provide special challenges. Just as in real life, there is a greater degree of 3-dimensional visualization when dealing with a radar scenario. It’s a completely different job than being a tower controller, in which runways and taxiways are managed. A typical radar controller manages an airspace, which can sometimes be hundreds of miles long, and covers the “enroute” side of things. Some of you may have tried our air traffic control simulator. Despite it’s bargain price tag of just $5.95, most gamers seem to shy away from this application, as it is extremely complex and resides well outside the games category. How is somebody who is new to ATC supposed to grasp a command like, “Maintain one six thousand, leaving eight thousand turn right direct SURFN, flight planned route.”? We get occasional emails from real world controllers who tell us that the app is spot on. Now we’d like to make it a game that is playable for everyone. This entry was posted in Radar Chaos on January 5, 2011 by admin. We are currently working on some exciting new level packs for our iPhone/iPad app, “Airport Madness Challenge“. At present, this app offers six unique airports. This will be increased to 12 available level packs, including other ad-ons such as an expanded control panel and emergencies. We hope to release this update by the end of February 2011. We’ve established a lengthy list of items that we intend to add to the next version of our Airport Madness series. There are some features that we are considering removing, and we are requesting feedback from those who have played Airport Madness 3. Sounds are something that many casual gamers dislike. We are considering dropping the pilot voice feature. As well, the in-game music will be much softer and quieter than previous versions.